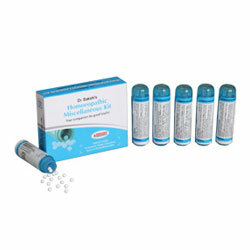 Bakson's Homoeopathic Miscellaneous Kit Treats Insomnia, Vertigo, Leucorrhoea, Injury & Painful Menstruation. For sleeplessness, disturbed sleep patterns, nervous exhaustion and restlessness during sleep. For thick, watery or acrid Leucorrhoea with itching of genitalia associated with uterine disorders. Not be taken for Leucorrhoea during pregnancy. For pain, swelling, heat and bleeding in injuries like sprain, cuts, bruises & ulcers. For aching/cramping pains during menstruation or labor.